These 3 logical rules will add tons of value to your family tree and every document in it. I'm a natural-born organizer. 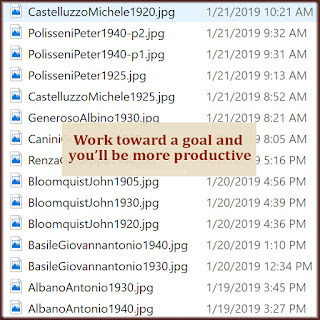 My strict computer file organization is easiest to see in my thousands of genealogy image files. 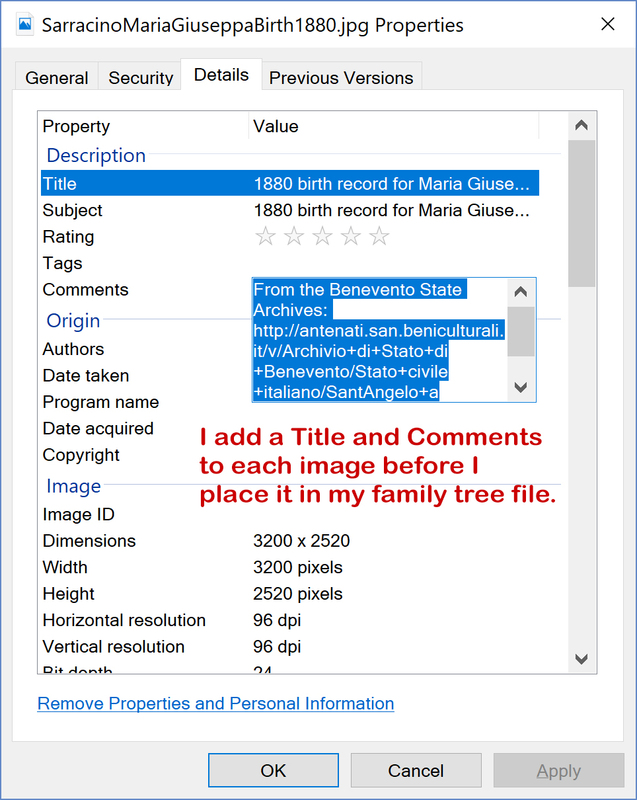 Thanks to my 3 rules for naming and storing digital genealogy files, I can locate the original copy of any image in my tree in seconds. It's worked so well, that what happened to me on Sunday was shocking. I was following my rules, but the correct filename was already taken. It seems I have 18 people in my family tree named Giuseppantonio Pozzuto. Two were born in 1814. 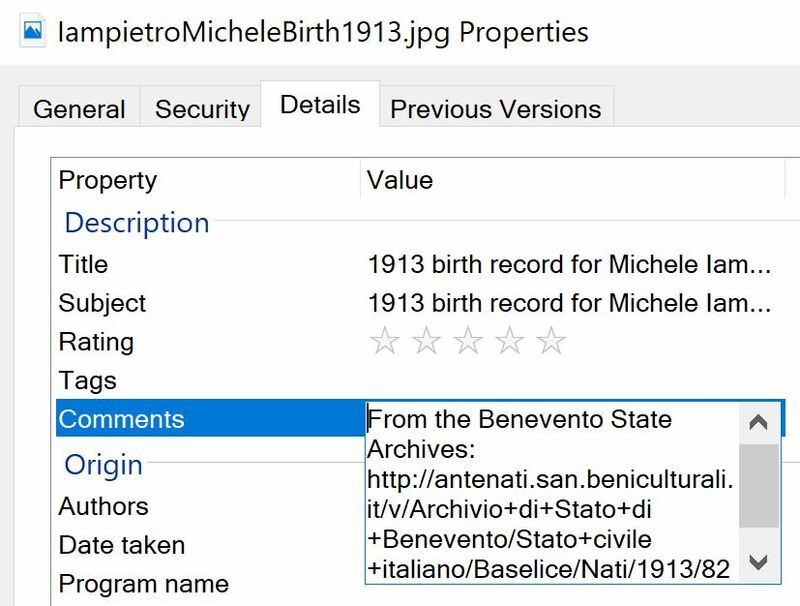 When I tried to save an image file as PozzutoGiusappantonioBirth1814.jpg, my computer asked if I wanted to overwrite the existing file. No, I didn't. 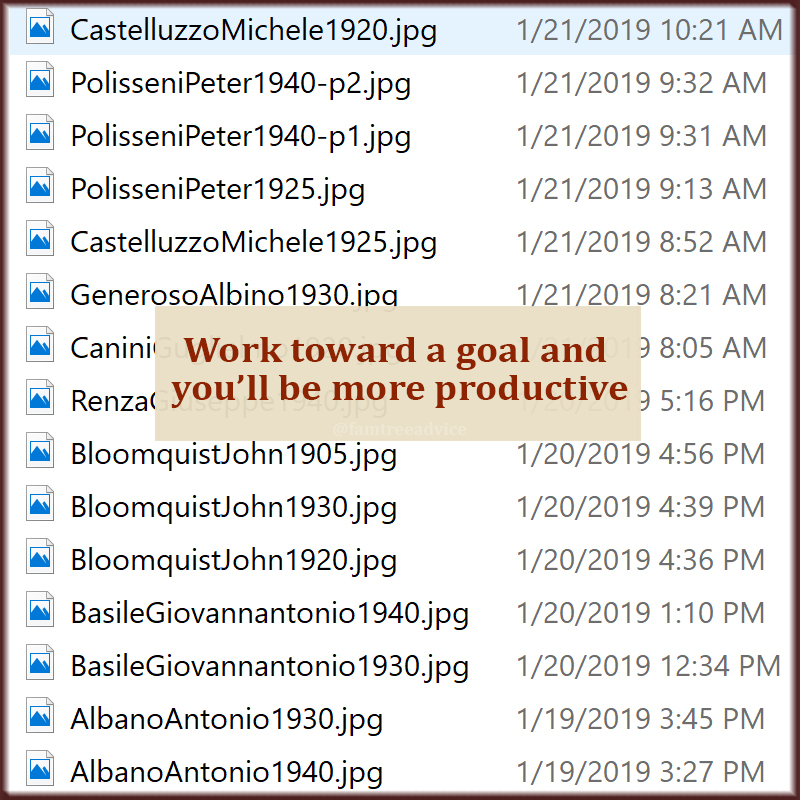 To get around the problem, I added Giuseppantonio's father's name to the file name: PozzutoGiuseppantoniodiDonatoBirth1814.jpg. I use "di" as shorthand. In Italian, it tells us Giuseppantonio is the son of Donato. 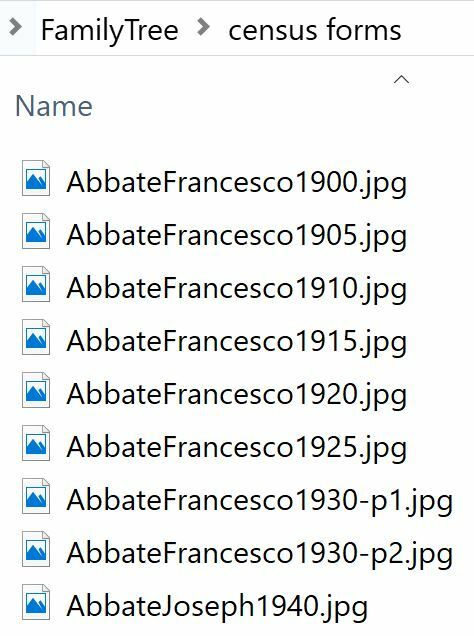 That's the first time my genealogy file naming rules hit a snag. Ever. That tells me it's a solid method. Keep your genealogy files in one top-level folder. I named mine FamilyTree. 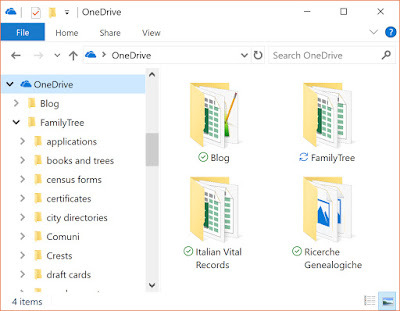 It's synchronized with OneDrive, and I make a weekly manual backup, too. Make as many folders as you need. Now everything is centralized. Simple, logical file folder names remove any confusion. Inside each of your folders, follow a consistent, simple format. When there are 2 sheets to a ship manifest, the format is LastnameFirstnameYear-p1.jpg and LastnameFirstnameYear-p2.jpg. When there are 2 people on the manifest, you have a choice. 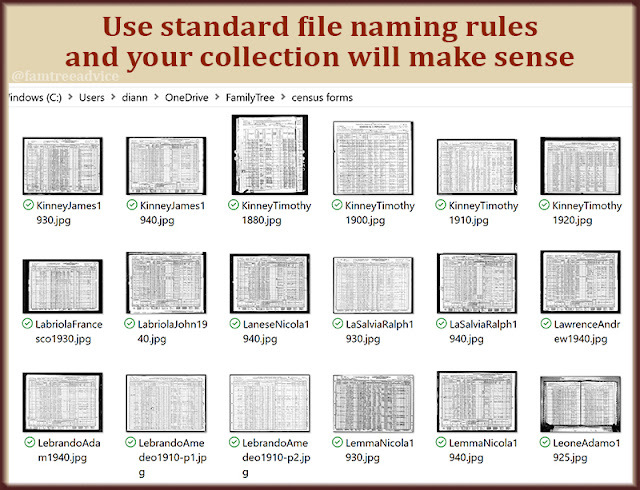 Either duplicate the file, 1 for each person, or double-up the names. Example: BaroneNicolinaPetriellaDomenico1891.jpg. For draft registration cards, the format is LastnameFirstnameWW1.jpg or LastnameFirstnameWW2.jpg. These cards have 2 sides, so they need page numbers. Example: MaleriEnsoWW2-p1.jpg and MaleriEnsoWW2-p2.jpg. I keep all vital records together in one certificates folder. Because they're together, they need more detail in their file names. Why don't I separate them into birth, marriage, and death folders? I prefer being able to see every vital record for a person in one place. It's a personal preference. Having separate folders helps you avoid problems with duplicate file names. I have a census image named IamarinoPietro1930.jpg and a city directory image named IamarinoPietro1930.jpg. But because they're kept in different folders, there is no conflict. 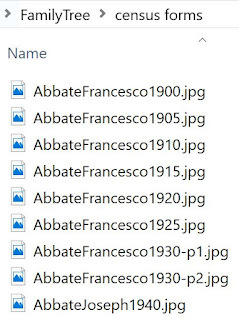 Always follow the same pattern when naming your document image files. You can add important facts to an image file when it's in a folder or in your family tree software. Take the long view. 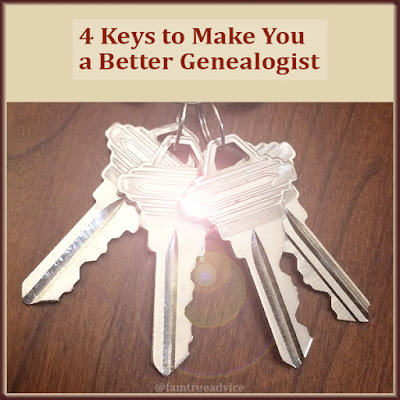 When you return to a file years later, or when someone takes over your genealogy research, these extra facts will be worth a fortune. In your file folder, right-click an image, choose Properties and click the Details tab. (I'm not a Mac person, so I don't know what your choices will be.) Add a plain-language title and detailed comments. When you import the image into your family tree software, your added facts will come along. I give my images the exact title I want to see in Family Tree Maker. I lead with the year so the images are listed chronologically. It's a very simple format: Year, type of document, person. 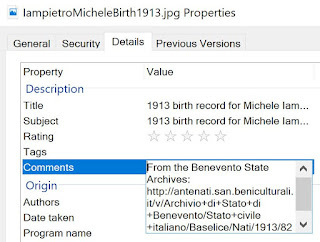 Example: "1911 birth record for Giovanni Basile". 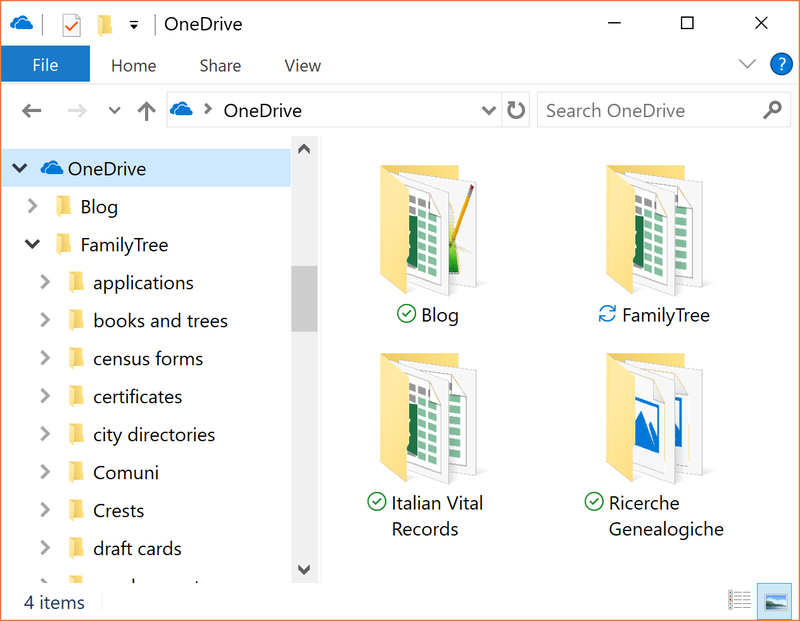 I don't add a date to the image's Details tab because it can't accept the date format I use in my family tree: 5 Feb 2019. 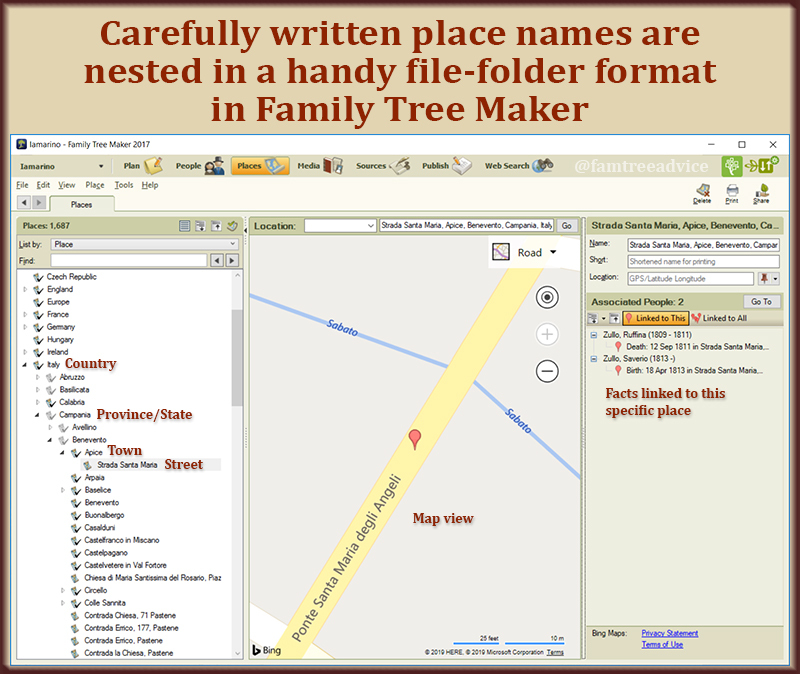 Instead, I add the event date to the document image within Family Tree Maker. These 3 rules have served me well. 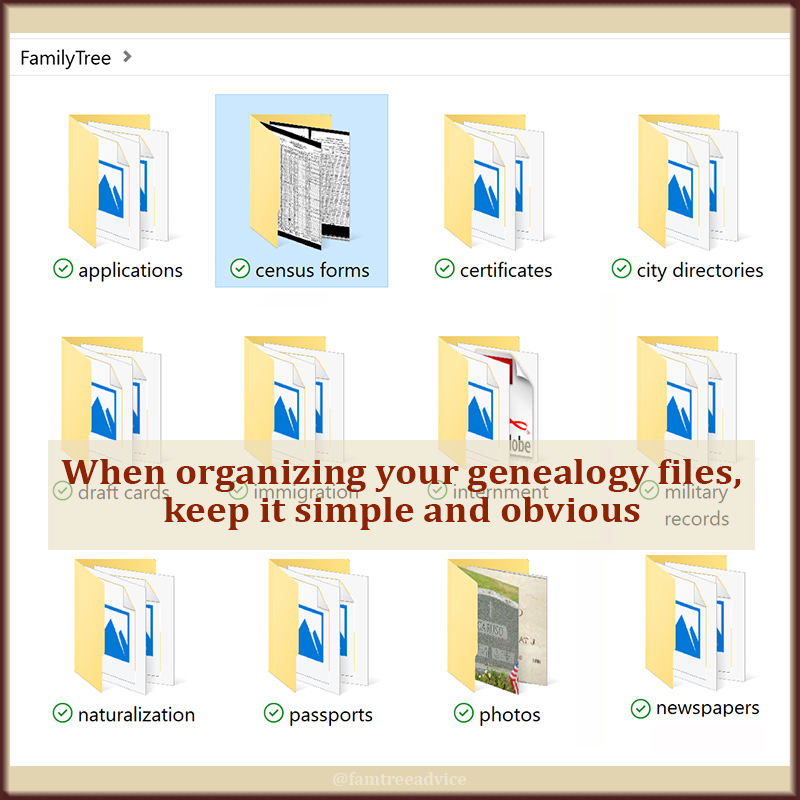 I hope they'll help you avoid confusion, find files easily, and fortify your family tree. 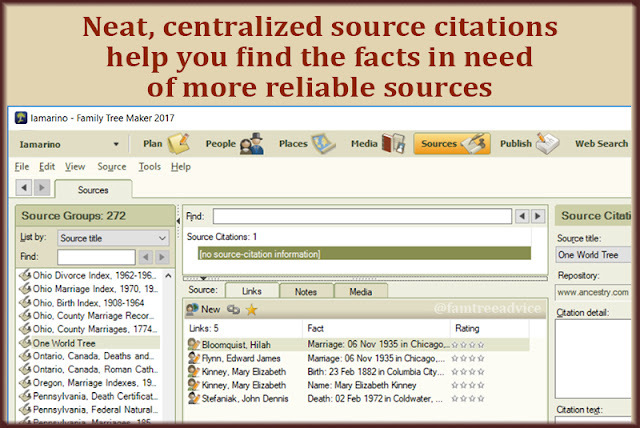 With these options, you can get a lot of genealogy research done in 10-minute blocks here and there. Some more sleep would be nice. But I've been getting up really early each morning with one goal in mind: Do something productive. Two mornings a week, posting this blog is the only thing I do. On the other mornings I try to see how many genealogy tasks I can complete before it's time to get dressed for work. It turns out, there are a lot of genealogy tasks you can do when you have only 10 minutes or so. Here are my top 5. First, pick a common type of document, like a ship manifest or a census. 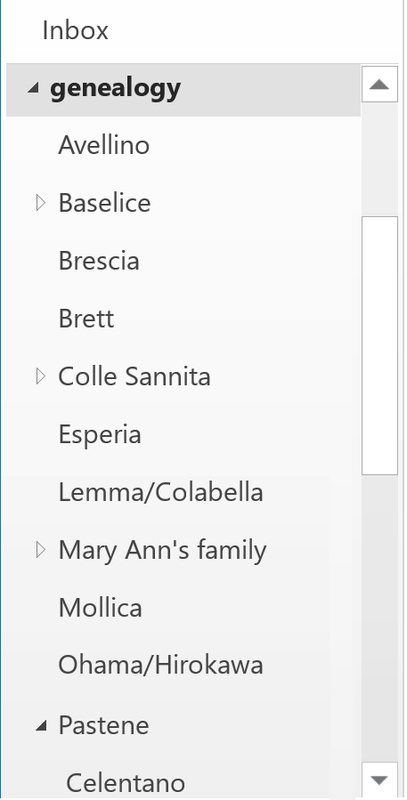 Next, choose a particular family from your tree that's missing that document. Even if you've searched and failed to find it before, try again. 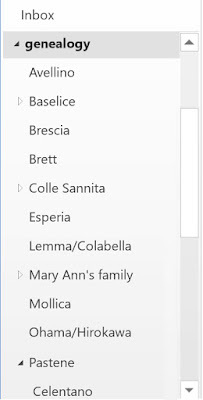 Use the different search tricks (see 3 Tricks for Better Genealogy Search Results), like searching for the family by their first names only. Even if you gave up on finding this missing document long ago, indexing systems can change. The document may become easier to find. Last month when searching for something else, I found my grandparents' 1925 New York State census sheet. Somehow, it had never come up in all my years of doing family tree research. You may have some paper birth, marriage and death records in folders or binders. If you don't have a digital copy too, you can't add the document to your family tree software. Gather a bunch of these paper documents and scan them as high-resolution images. No scanner? Your phone or digital camera will do. No matter which device you use, take the document out of its shiny sleeve or glass frame. If you're not scanning, take the picture straight on and avoid shadows. There's a handy app called CamScanner that straightens out your image and makes it the best it can be. Some of the earlier facts in my family tree came from family members. That's really not reliable. Have you ever tried to re-find a census sheet online because you need to see the next page? It isn't always easy to find a document again. A misspelling may have made it tough to find the first time. Imagine having to go through that again. Save yourself the aggravation and ensure the long-term provability of your facts. Add enough information to the document images in your family tree to allow you, or anyone, to find the original file again. Include the collection it's from, the microfilm reel number, the page number, the image number, the URL. The more facts you include, the more traceable the document will be. For instance, I added the following note to the image properties of a ship manifest. 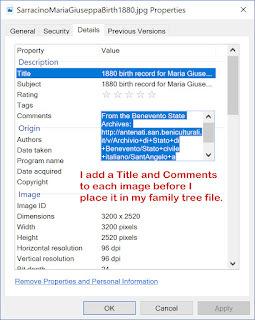 When you attach notes to the image file, you'll import the notes into your family tree along with the image. 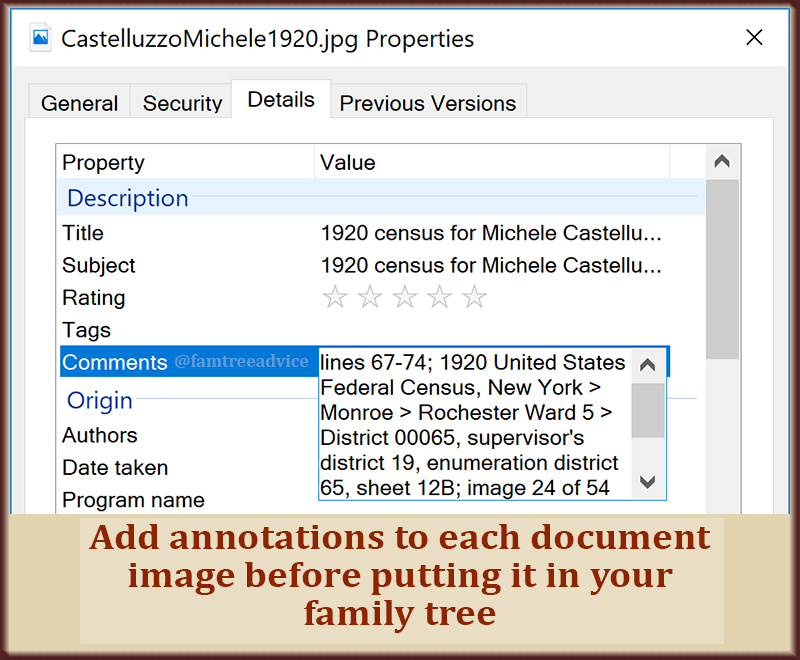 To learn how to do this, see Add Proof and a Breadcrumb to Family Tree Documents and How to Increase the Value of Your Family Tree Images. Ancestry.com has a feature called a Shoebox. It's a place to save items you may need, but right now you're not sure you need. I have a similar way of saving things I gather. I have a folder on my computer called "gen docs". 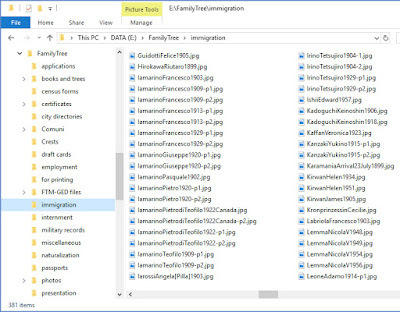 It has sub-folders for photos, census forms, ship manifests, and much more. 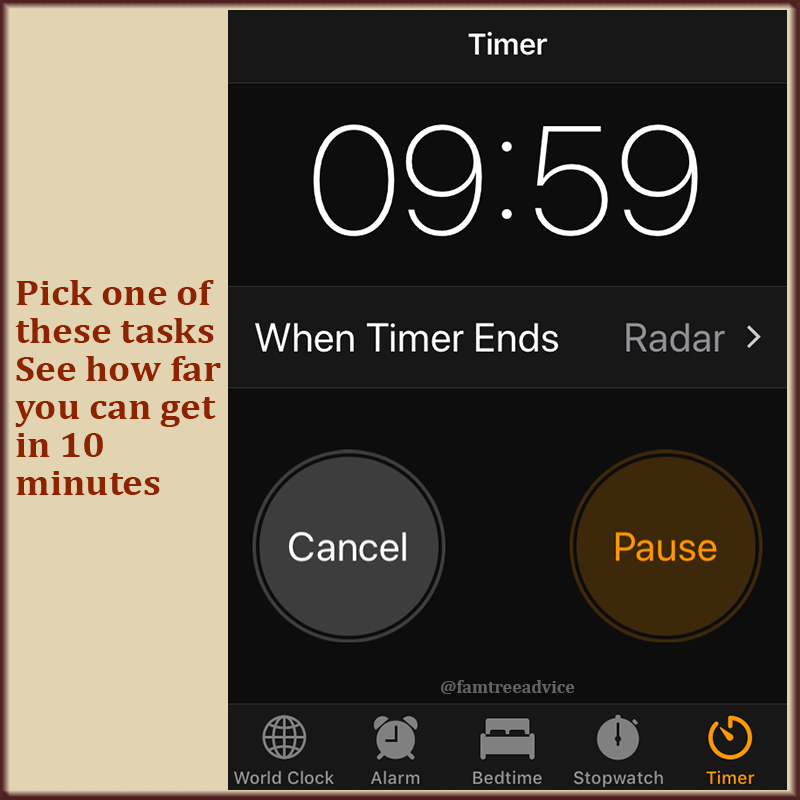 If you have a catch-all system too, your 10-minute task is to start digging into it. Annotate the image files and add them where they belong in your family tree. Are you a morning person? Clear-headed and ambitious. Or are you a night owl? Ready to conquer the world while everyone else is in bed. 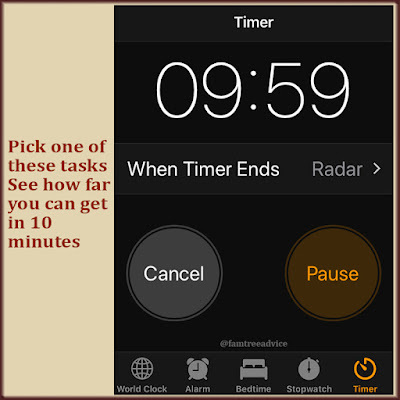 Whatever time of day your brain is locked in and ready to go, choose one of these tasks. How far will you get in 10 minutes? Even 1 key will get you going. All 4 might unlock a ton of treasure. If you could pick only one, which of these family tree accomplishments would make you a better genealogist? Let's take a look at each one so you can decide. And once you do choose one, you've got your 2019 Genealogy Goals in your sights. They're not just shiny objects. They are the heart of solid genealogy. 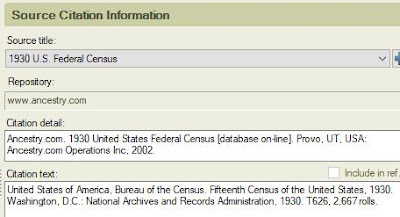 How quickly can you locate your maternal grandparents' 1940 census document? Your great grandfather's ship manifest? Your great uncle's World War II draft registration card? 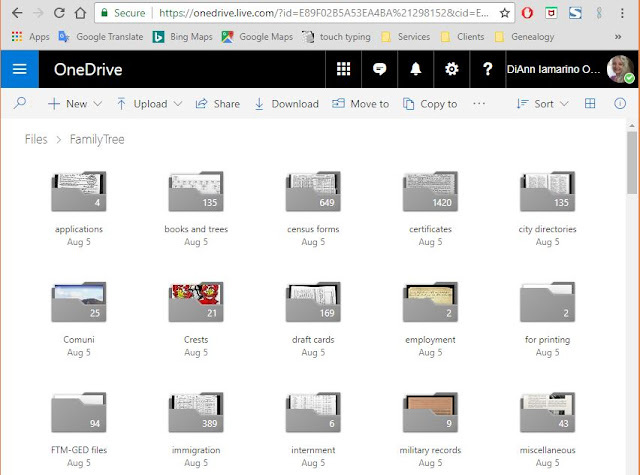 If you don't know exactly where to look and exactly how you would have named the file, you may need an organization upgrade. how I wanted to organize those images in file folders. I'm 99.8% digital; so little paper that it's in one manila folder. I name my document images for the person (or head of household, if it's a census) and the year: LastnameFirstnameYear. The file names can get very long for a marriage, where I include both the groom's name and the bride's name, plus the year. But then the file name is very descriptive. This system has worked incredibly well for me ever since I started this crazy hobby. As you work on your family tree year after year, you may find you do things differently than you did before. Hopefully you're doing them better than you did before. If you want others to recognize your family tree for the good work it is, fix your facts and sources. Yes, I know all the jokes and memes. Genealogy is never finished. But you can finish gathering all the known documents for a given family. Pick a particular nuclear family—like your grandparents, your mother and her siblings. Your family tree probably has lots of nuclear families you didn't finish working on. Why not finish searching for their key documents now? As you "finish" each family unit, you can consider moving on to this next goal. Imagine your mother and her family again. You've got as many documents for that family as you can get. This would be the perfect time to create a booklet or a scrapbook about them. Write their story, based partly on the documents and facts you've collected. Put something together and share it with your loved ones. If one or more of these ideas hits home for you, why not make it happen in 2019? I haven't finished annotating my document images (Facts and Sources), so I definitely want to do that. I'm also very eager to finish some families, or at least finish gathering all the census forms that I'm still missing. I want us all to be better, more thoughtful and accurate genealogists. These 4 keys can definitely put you on your way.